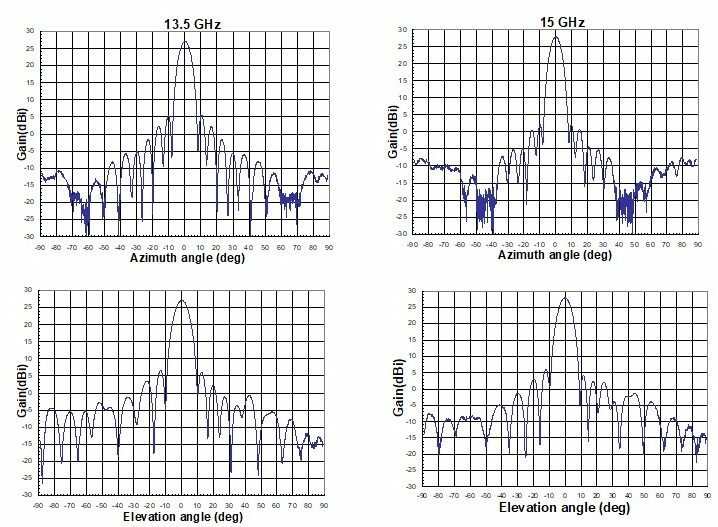 M.E.C.’s model C390-272 is a compact, lightweight, offset feed parabolic reflector antenna which operates from 13.5 to 16.5 GHz. 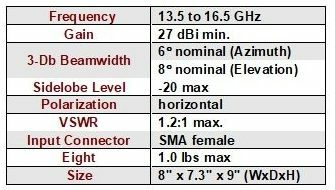 The antenna performs at high efficiency with low sidelobes. 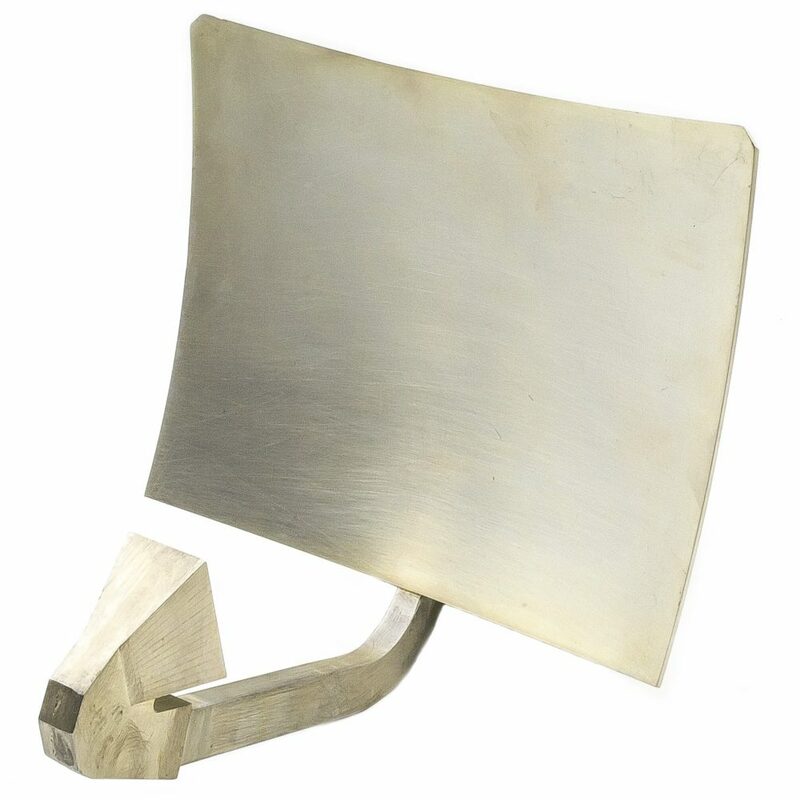 The waveguide feed horn assembly offers low insertion loss and also serves as a support arm for the horn. This antenna can be mounted on a rotator and is suitable for ground, mobile, and airborne applications.